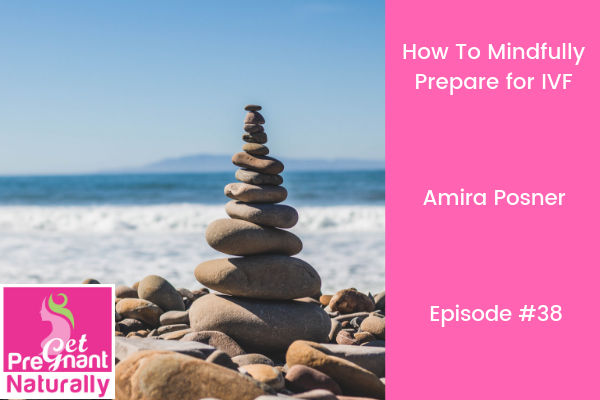 Today I’m welcoming Amira Posner back to the podcast! Definitely check our her episode about going down the fertility rabbit hole. We’re digging into how to mindfully prepare for an IVF cycle. Amira Posner is Healing Infertility’s lead counselor. Amira is a professional therapist with Bachelor and Masters Degrees in Social Work from the University of Manitoba. She also has formal training in hypnotherapy, Reiki and the relaxation response. Amira and I work very closely together! We co-facilitate the online Mindfulness Fertility Series together. This is a 6 week online program that helps embrace your fertility journey with proven relaxation techniques and stress management strategies that help you regain control and cope with infertility in a much more positive way! Program launch is September 27, 2018. Grab your spot here! Space is very limited. If you were like me when I was going through IVF I felt completely overwhelmed. I didn’t reach out for support, because frankly….16 years ago it wasn’t readily available. Or it may have been there, but I thought I was completely fine and could do everything by myself. If you are familiar with my story you know I had both my children with donor eggs. I had my daughter on the first fresh transfer and then we had an unsuccessful frozen transfer (looking back I was super stressed because I wanted my children close together). We then went on another donor list to have our son. Infertility impacts every aspect of our lives. I know this firsthand and from the couples that I coach 1:1. The power of mindset shifts connected to positive pregnancy results is real. Harvard studies prove it! That’s why I want to give you the tools to help prepare for your next IVF cycle. How to prepare for an IVF cycle. What to do if you are consumed with worry, fear and doubt. How to go with the flow and tap into our intuition. Plus steps to take to move towards acceptance, instead of being triggered by every pregnant woman. How to shift perspective and to know that every treatment is different. It only takes one – how to visualize a positive outcome.